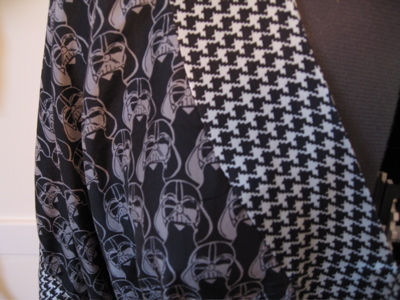 So, here, finally, is the Darth Vader fabric Duro. 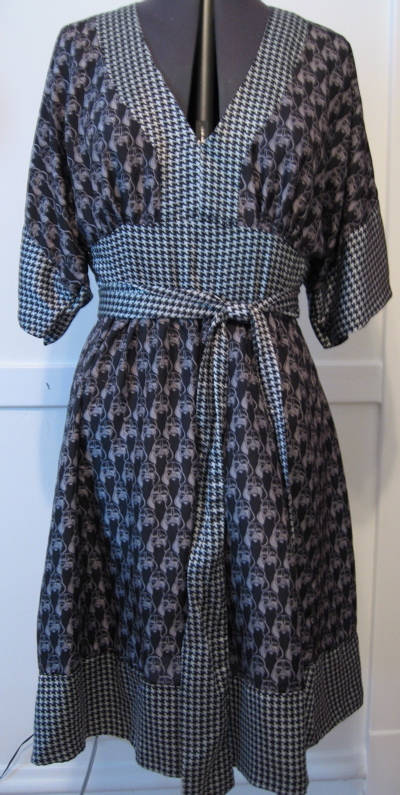 It's not really pressed, and until I uploaded the picture I didn't realize it wasn't straight on my mannequin, but, nevertheless, here it is. If I were really ambitious (or really a lot more geeky than I am right now) I'd find one of those Darth Vader-breathing chips that were in the magazine ads for the re-release of the first trilogy, and keep it my pocket to jolt that realization, for people slow on the uptake. But I won't. Or, at least, I probably won't. And, yes, I know, that in the movie Vader really says "No, I am your father," with no "Luke" in there at all. How do I know this? I looked it up. This could not be more awesome. Unless it gave you the power to strangle people who displeased you WITH YOUR MIND. Then, maybe. But I think it’s awesome enough as is. 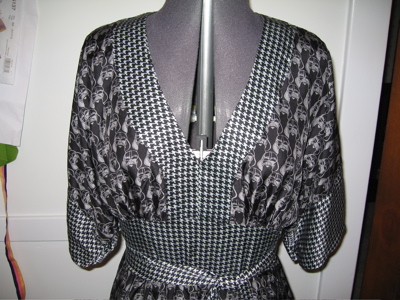 I’m going to have a geek-attack over that fabric!